If you are not accepting your spot on the team please contact John Penney ASAP. 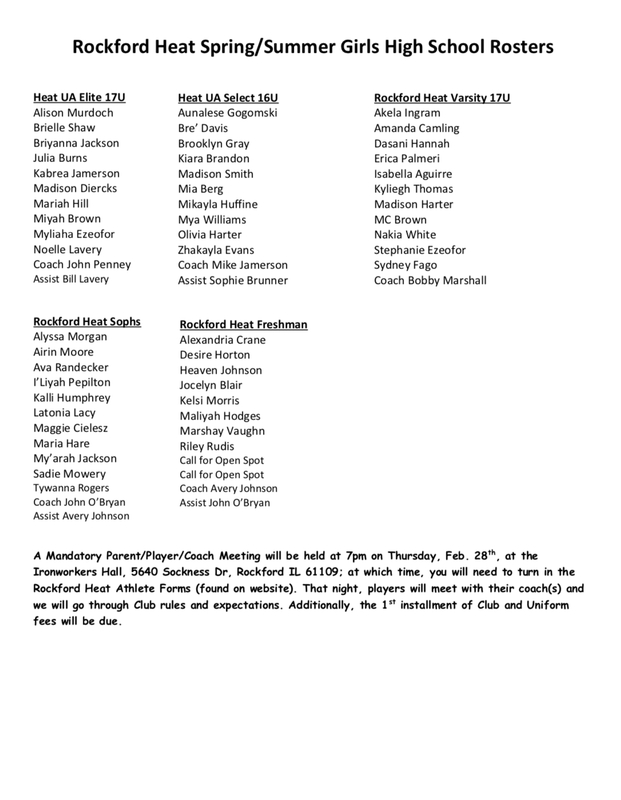 A Mandatory Parent/Player/Coach Meeting will be held at 7pm on Thursday, Feb. 28th, at the Ironworkers Hall, 5640 Sockness Dr, Rockford IL 61109; at which time, you will need to turn in the Rockford Heat Athlete Forms (found on website). That night, players will meet with their coach(s) and we will go through Club rules and expectations. Additionally, the 1st installment of Club and Uniform fees will be due. If you are a high school player looking for a team, contact John Penney for more info. Heat Elite Freshman Named All State! 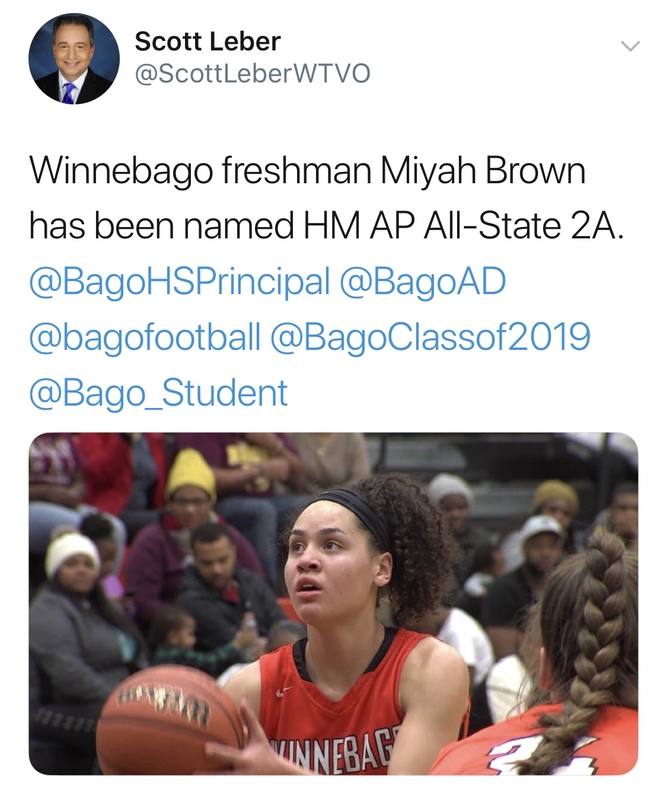 Shout out to Heat Elite Freshman Miyah Brown(Winnebago High) for being Named to the 2A AP HM All State Team!!! Great job Miyah, Keep up the hard work! ATTN: College Coaches looking for a 5’11” guard that can get the job done on offense or defense, you will want to get in contact ASAP. Miyah has had a great season and will be showcasing her skills on the UA Circuit this spring and summer. High school Girls Tryouts are Sunday Feb 24th, 6pm at the UW Sports Factory in downtown Rockford. Kaiya Albert Commits to Lakeland University! Congratulations to Heat Player Kaiya Albert, East High School for committing to Lakeland University(NCAA D3) Kaiya is a quick guard that plays well under pressure. Is not afraid to get physical on defense. She is a solid ball handler that can make moves to the hoop for an easy finish or knock down the pull up jumper. Kaiya plans to study History while playing basketball! Kaiya has a great summer that wrapped up her AAU career along with a solid Senior season, you have shown through your skill and dedication that you are ready for the next level! All Rockford Heat Coaches, Players, Parents, Alumnae, and Fans are Proud of you! Antwon Harris Added as Director of College Recruiting Specialist. 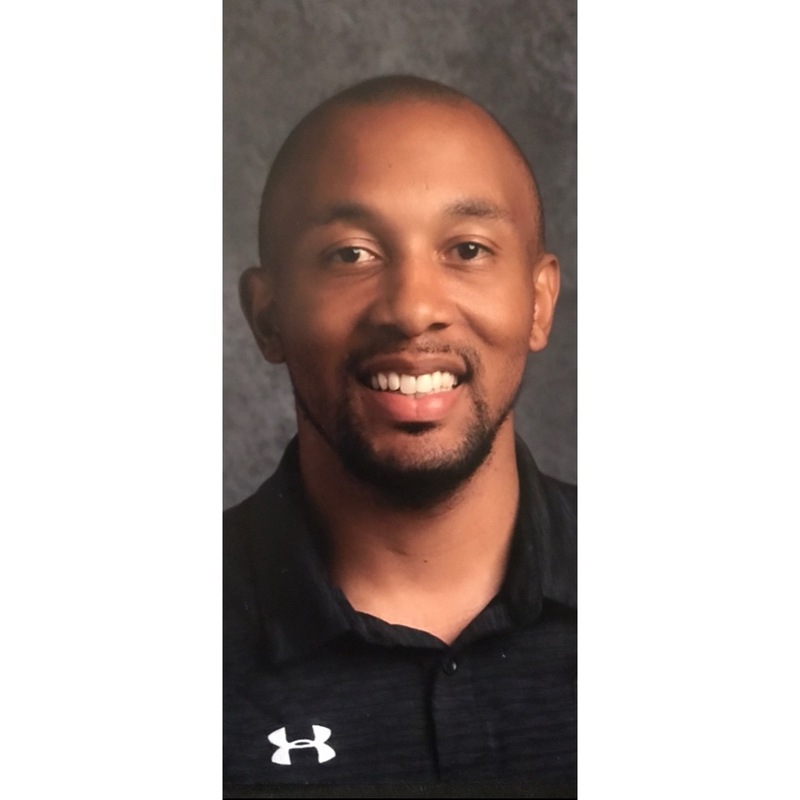 Rockford Heat has added Antwon Harris to the ranks of Rockford Heat to help focus and promote our athletes to college coaches around the country. For high school girls, we have already proven to be the BEST in the area for college recruitment and proud of the amount of athletes that are considered to be top players in the region for their respective high schools. With this addition to the college recruitment process, our goal is to maximize and leverage all the talents and connections that span from Hawaii to North Carolina. I look forward to your student athlete possibly following in those footsteps. High school tryouts Feb. 24th. shout out to our Rockford Heat 7th grade girls for going 3-0 today in the Valentine’s Day Shootout held at the Bulls Sox Academy In Lisle,Illinois. Great job ladies and keep up the hard work! Spring/summer tryouts are held March 3. Girls 3-8 Grade and High School Boys Tryouts POSTED!!!! 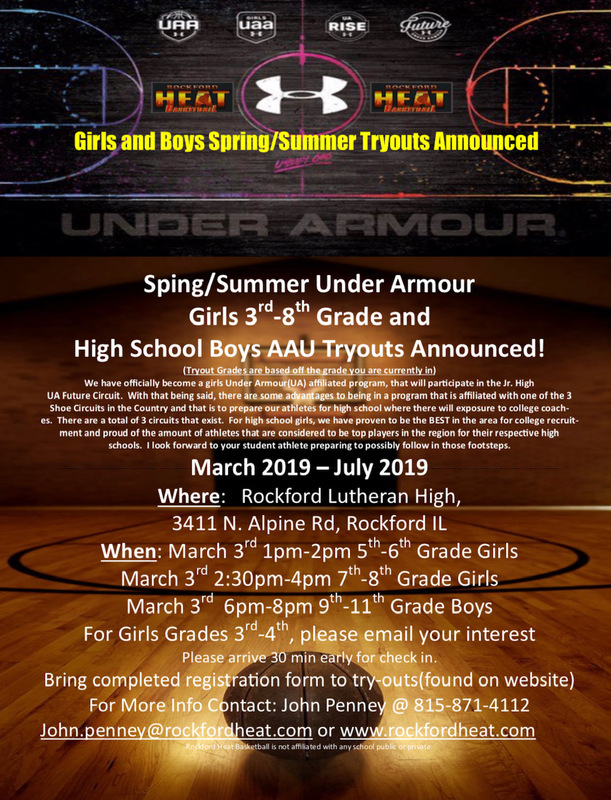 High School Boys AAU Tryouts Announced! UA Future Circuit. With that being said, there are some advantages to being in a program that is affiliated with one of the 3 Shoe Circuits in the Country and that is to prepare our athletes for high school where there will exposure to college coaches. There are a total of 3 circuits that exist. For high school girls, we have proven to be the BEST in the area for college recruitment and proud of the amount of athletes that are considered to be top players in the region for their respective high schools. I look forward to your student athlete preparing to possibly follow in those footsteps. Please arrive 30 min early for check in. 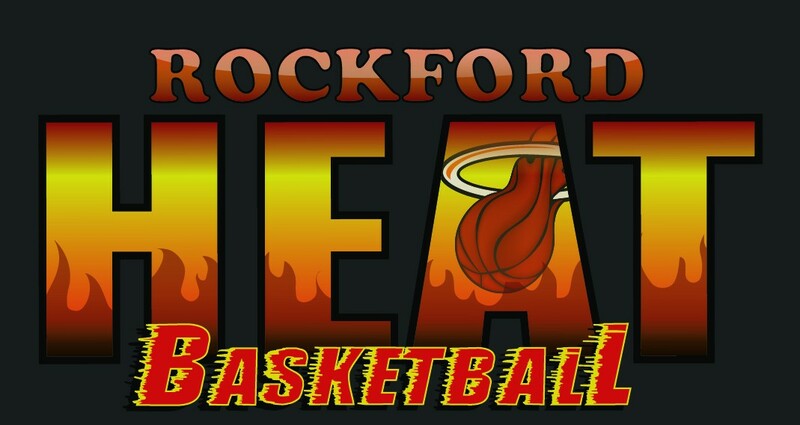 Rockford Heat Basketball is not affiliated with any school public or private.